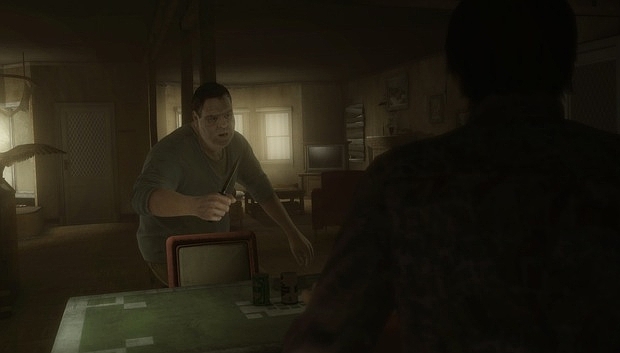 Heavy Rain will be a mature videogame. In other words, some of its content is not meant for babies and old ladies to see. Or the world’s various Ratings Boards even. Wisely preparing from the onset, developer Quantic Dreams is turning down the volume of the adult stuff in sensitive regions in order to not offend cultural sensibilities and, you know, avoid the getting the game booted from retail shelves. Game executive producer Guillaume de Fondaumiere talked about this in a recent interview (via PS3 Center), mentioning specifically that these changes should be minor. He expects Heavy Rain to be essentially the same throughout the world. "We wanted to have pretty much the same game everywhere, be it Europe, in the United States, or in Japan, of course, with slight adaptions -- for instance, the Japanese version" he said, "but I don't think the changes we made will make a big difference, so that those are real modular things. “We felt the need to adapt the content to the culture." Fuzzy clouds, black bars, and promises of the game being “too hot for [insert region here]” have yet to be confirmed.